© 2019 Judith Lynn Stillman. All rights reserved. 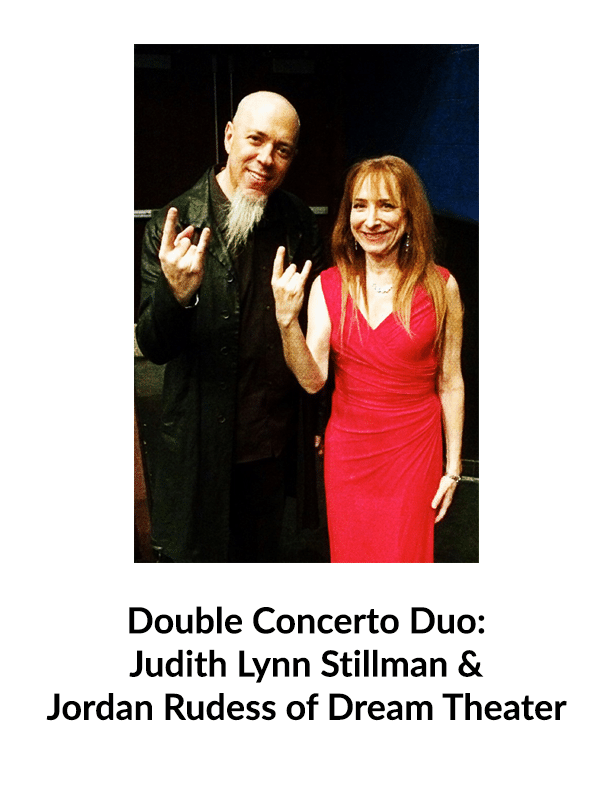 The audience was enthralled and then exuberant as Judith Lynn Stillman and Jordan Rudess performed the Mozart Concerto for Two Pianos and Orchestra. Judy and Jordan in their pre-college days at Juilliard. Subscribe to Judith Lynn Stillman's upcoming events and latest news.